I hope you all had as much fun as I did at the luncheon! Great food, great friends, and great entertainment! The Arizona Balalaika Quintet Orchestra was so lively and uplifting. Thank you again to the Program Committee for bringing us another real treat! 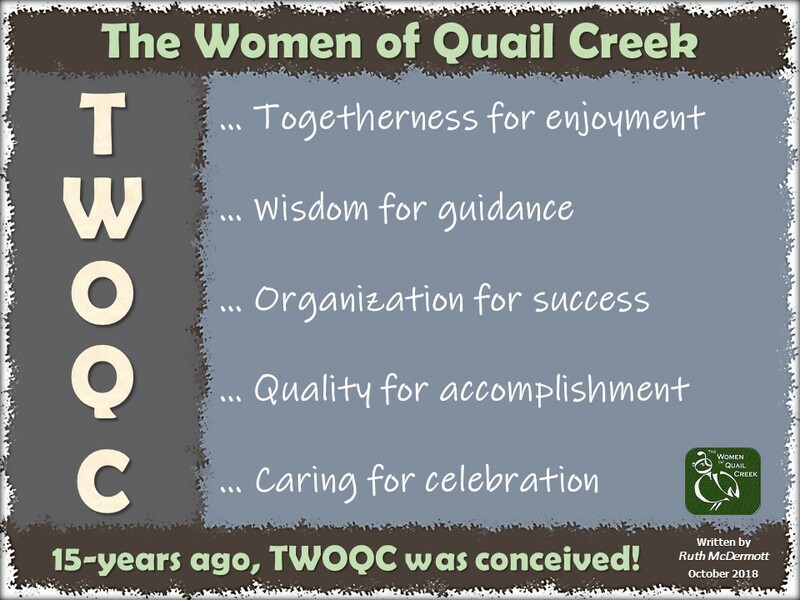 Click this photo to be redirected to the online photo album where all luncheon photos and video clips have been uploaded: Another great treat was the photo slideshow that Eileen Sykora (TWOQC Photographer) put together for your enjoyment. It is always wonderful to see the results of all the donations and hard work! Kudos to the Baby Shower Committee! Our programs wouldn’t be successful without all the volunteers! Big thanks to Marie Hall for volunteering to sell Aprons and TWOQC T-shirts! 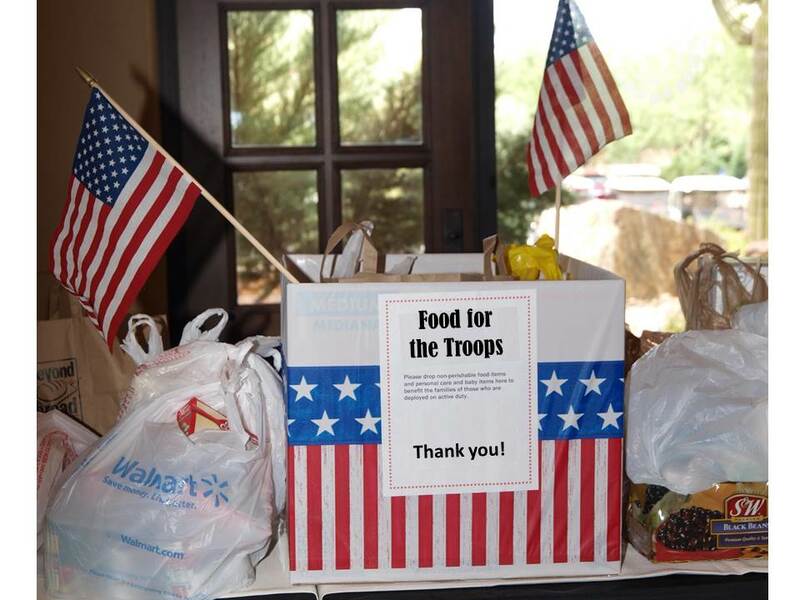 Thanks to all who contributed to the Food for the Troops collection at the luncheon. There were 64.2 lbs. of groceries and $100 in monetary donations. The cash will be used to purchase Thanksgiving turkeys for the junior enlisted personnel at the 162nd Fighter Wing. If you still wish to donate some groceries you may leave them at Peggy McGee’s house, 1908 E Longspur Place at any time. You may also leave them in the big red box that will be in placed in the Madera lobby from Friday morning, July 1 through the 4th of July weekend. If you leave them in the box at Madera, please mark that they are “from TWOQC” so we get credit for it! There will be a 50-50 raffle in front of Madera on July 4 from right after the flag raising ceremony at 7:30 a.m. until 15 minutes after the Golf Cart Parade ends and again from 1 – 2 p.m.
Tickets cost $1 each, 6 for $5, 14 for $10, and 30 for $20. Cash or checks payable to GV MOAA S&A Fund (Green Valley Military Officers Association of America Scholarship and Assistance Fund) can be used to purchase raffle tickets. GVMOAA gives money to high school students for college scholarships, and they support the Air National Guard and other veterans groups. Winner will be drawn Monday afternoon. One need not be present to win. There are no more aprons left! Thanks to all who supported the aprons sales over the past months. Once school is in session we will be able to provide almost $500 to Youth On Their Own to help homeless students from Sahuarita and Walden Grove High Schools stay in school. Thanks to all who brought travel-sized shampoos, soaps and lotions, Chap Stick, razors, tooth brushes and paste, note pads, and greeting cards to the luncheon Monday. In addition to 3 bags of clothing, there was 27 lbs. of donations that Peggy delivered to the VA this week. She also delivered some left-over items from the shower for two babies already born to homeless veterans who recently moved into housing plus one that is due in November. How good it is that we were able to help these babies that started life with so little? After she delivered the donated baby gifts for the girl and boy already born, the following email was received from Danna Auriana, HUD-VASH Supervisor at the VA. Her office is responsible for assisting the homeless vets into housing , getting them furniture and other necessary items. “Thank you so much for all the absolutely wonderful gifts!! !”, from Danna Auriana. Unused items donated to the shower by the White Elephant were also given to Genesis House by Diane Quinn and Carol Mutter. What another great opportunity to spread the wealth. Peggy attended the homeless veterans Stand Down last weekend and was delighted to see that some of the items you had donated were offered to the veterans who somehow did not make it to the VA to “shop.” And for the veterans with pets, free dog and cat food as well as litter were offered. She was delighted to see more than 40 providers including behavioral health specialists, employment recruiters, hair stylists from the greater Tucson area who were there to help the nearly 150 homeless veterans who were able to attend. 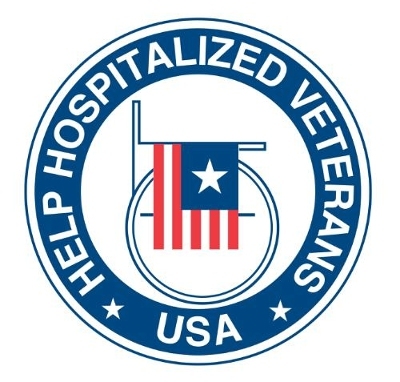 The Stand Down sheltered homeless vets in a local hotel for a couple of days while they connected with the VA and various community organizations for help obtaining a driver’s license or state ID, finding employment and most importantly, getting into housing. After a Stand Down that was held in January 2016 there were about 300 homeless veterans that TVSV supports. They got 67 into housing within 90 days. It is our continued support for homeless veterans through the VA that helps make Stand Down events so successful. Clipped and sorted coupons destined for overseas should expire May 1 or later. Coupons for the National Guard should expire July 12 or later. Coupons may be dropped off at Judy Poffenbarger’s (2390 E Bluejay Bluff Lane) or Peggy Richmond’s (2731 E. Eba Court) at any time. ♦ July 25 – 6:30 p.m. – Passionate for Coffee ::: Roasting Beans for the Perfect Cup of Coffee presented by Anna Perreira, Yellow Brick Coffee. ♦ August 29 – 6:30 p.m. – Why Spiralize? ::: Discover the Tips, Tricks & Taboos of Spiralizing! Presenter: Randy Wade from Cooking A-Z by, Tumacookery (Tubac, AZ).